This is a book review of Private Dispute Resolution in International Business: Negotiation, Mediation, Arbitration [Wolters Kluwer Law & Business 2015] by Klaus Peter Berger. Review by Michael Leathes. Private Dispute Resolution in International Business (PDR) exemplifies Confucius' famous proclamation: I read and I forget; I see and I remember; I do and I understand. This imaginative, practical, captivating multi-media skills training experience plots the life cycle of a quickly-developing case scenario from its origin as a deal, through dispute resolution phases. It involves a Dutch customer and a South Korean supplier and its consequences impact on several other parties. It is realistic, credible and absorbing. The case scenario illustrates how a dispute can progress through the conflict escalation model described by Professor Friedrich Glasl. The dispute is approached largely from a lawyer's perspective - both in-house and external - but is also focused on the skills of business negotiators, mediators and arbitrators. The scenario starts with a typical contract negotiation. Soon, the situation crystallizes into a dispute that gets mediated to the point of settlement, only to be revoked because of the failure of one party's top management to ratify it (itself an important learning experience about negotiators needing authority to settle). Finally it passes through the stages of a typical commercial arbitration process that predictably ends as a win-lose outcome and destroys the parties' relationship. This is the 3rd revision of PDR, but there is much more to it than two volumes. Volume I is the Case Study. Following a concise and helpful User's Guide, it salami slices the case into 29 digestible factual segments in under 150 pages. At the end of each of the 29 scenario slices, a series of key questions are presented, each of which sits at the heart of the illustrated issues. Volume II, the Handbook, cross-refers to Volume I and analyses the issues in each scenario segment. Wonderfully written and presented, it discusses them, digs deep, and helps trainees and role players to arrive at appropriate answers and solutions. As a result of the comprehensive and detailed Table of Contents and a great Index, the Handbook doubles as an excellent free-standing reference work. A wafer USB card is tucked into the cover of Volume I. Like a credit card in thickness, it is designed to slot into a conventional USB drive (a relief, since many computers have done away with the DVD drive). You use the USB in tandem with the Case Study and the Handbook. For example, as you follow the train of progression, the video clip subtitles refer you to specific paragraphs of the Handbook, enabling you to pause and read the relevant Handbook section to gain a better understanding and consider emerging options. a detailed and hugely helpful skills and advocacy section with numerous, mostly interactive, teaching and training tools. The www.private-dispute-resolution.com website is the fourth and final piece of this pie. It offers several video clip teasers, includes updates for problems discussed in the Handbook, and features a 20 minute introductory interview with Professor Berger who explains the origin and content of the concept for this "blended learning" work (as he quite accurately describes it). PDR is a valuable toolkit for educators and skills trainers. But what's also interesting is that, with care, you can run the entire experience alone (as I did) or together with colleagues. You can effectively simulate the parties and dispute resolvers, facing the dilemmas they are experiencing and instantly feeling the consequences. The experience is realistic, whether you are a business negotiator, student, internal counsel, external adviser, or a dispute resolver such as a mediator or arbitrator. There is much in this eclectic, kaleidoscopic work for everyone. The arbitration segments provide a genuinely hands-on feel for how a major arbitration proceeds, from the formal process aspects, through the arguments and advocacy and atmosphere, and onto the Award and beyond. 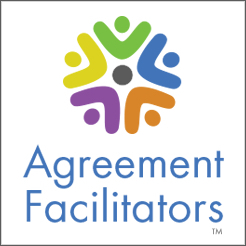 This is a training and educational experience in legal negotiation, mediation and arbitration like no other. It can be used to improve lawyers' skills and help non-lawyers, such as business people, to prepare for a negotiation, mediation and/or arbitration. The entire experience is inspiring, practical, memorable and user-friendly. It helps to hone advocacy and presentational skills - spoken, written and behavioural - things that are hard to learn from books. It's adventure learning par excellence. To top it off, Professor Berger uses the project as a centrepiece of the Cologne Academies where you can experience it for yourself. See: www.cologne-academies.com. Private Dispute Resolution in International Business is unique. I can't find the words to extol its value strongly enough. My only regret is that it was not available decades ago. Klaus Peter Berger works at the University of Cologne, Center for Transnational Law (CENTRAL). Professor Dr. Klaus Peter Berger is the founder and Executive Director of the Centre for Transnational Law (CENTRAL) at the University of Cologne, and Director of the Cologne Academies. He is a member of the Board of the German Institution of Arbitration (DIS) and the Arbitration Institute of the Stockholm Chamber of Commerce (SCC) as well as the co-editor of "Arbitration International". His article with J. Ole Jensen, The Arbitrator's Mandate To Facilitate Settlement, was published in the Fordham International Law Journal in January 2017.